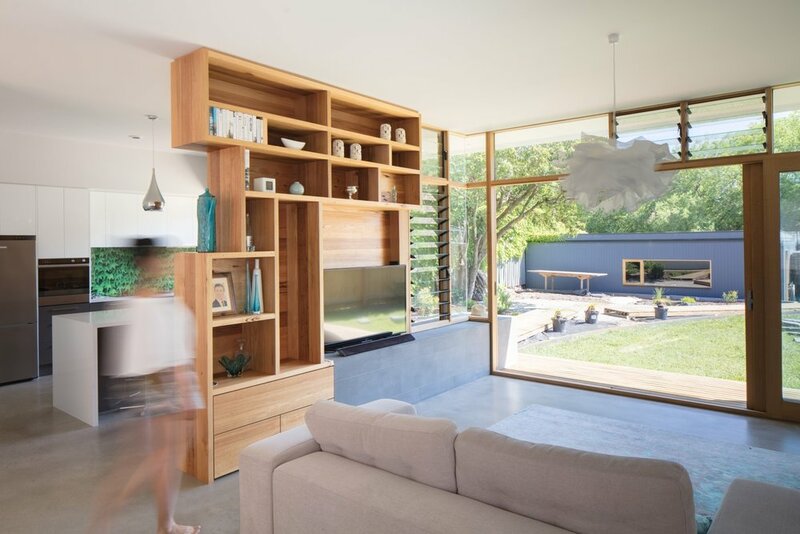 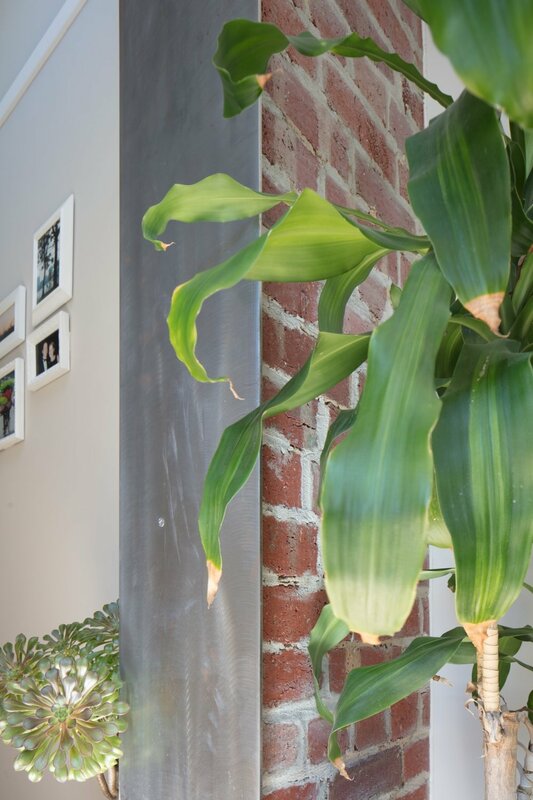 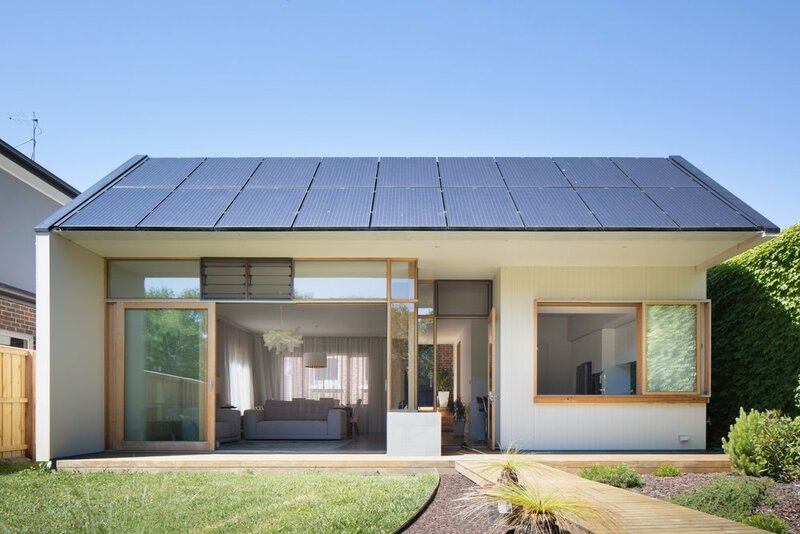 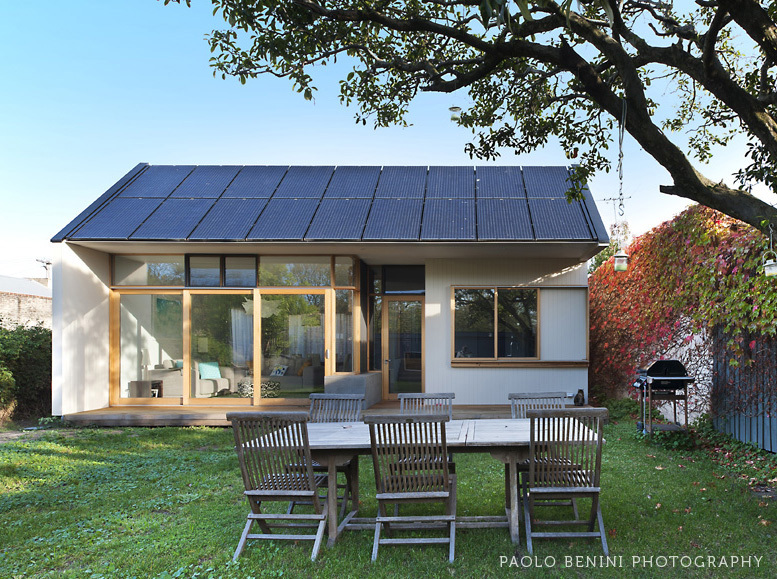 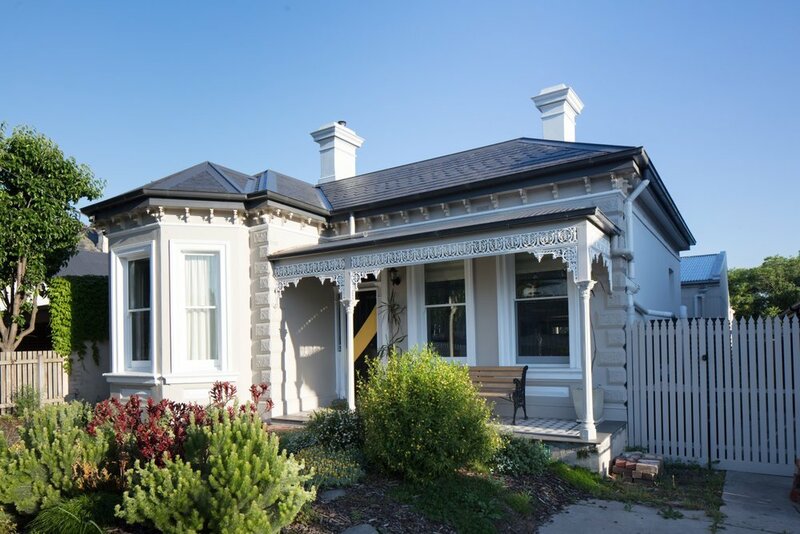 The Solar Extension is a project where 21 Century building brings a new life to an elegant 1890's house - renovating the existing double brick house and extending to the rear. 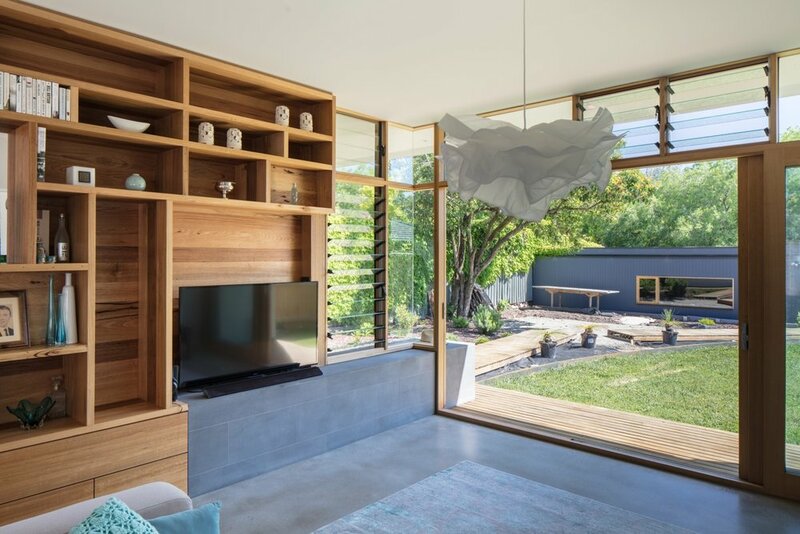 With a crisp meeting of new and old forms, the modern extension not only houses new living areas opening onto the garden, but will also provide the majority of the energy used in the house. 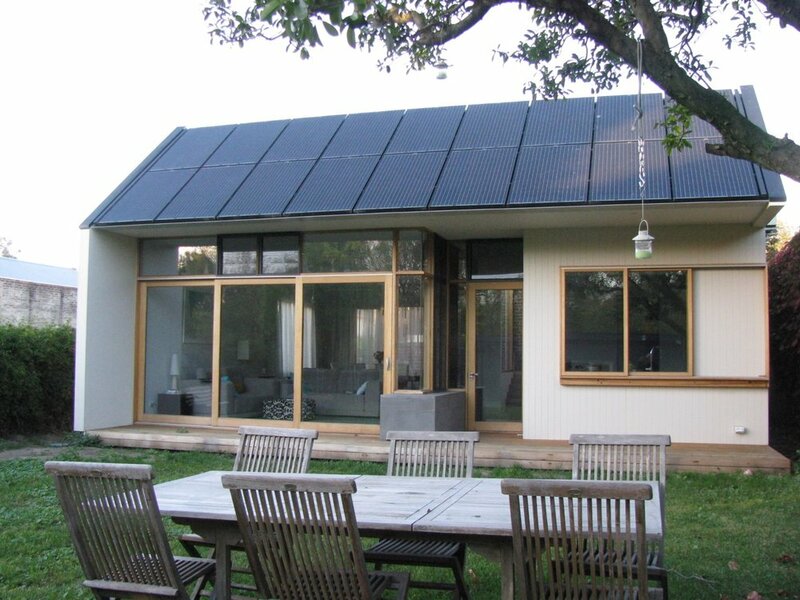 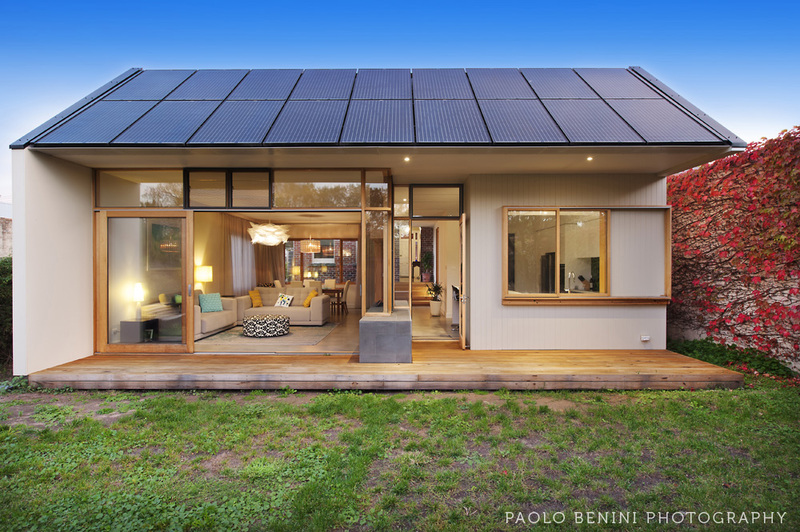 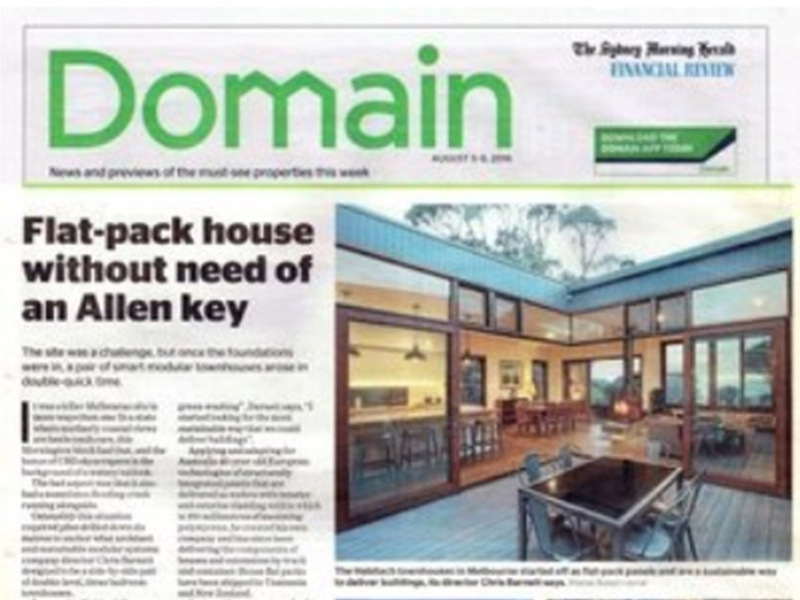 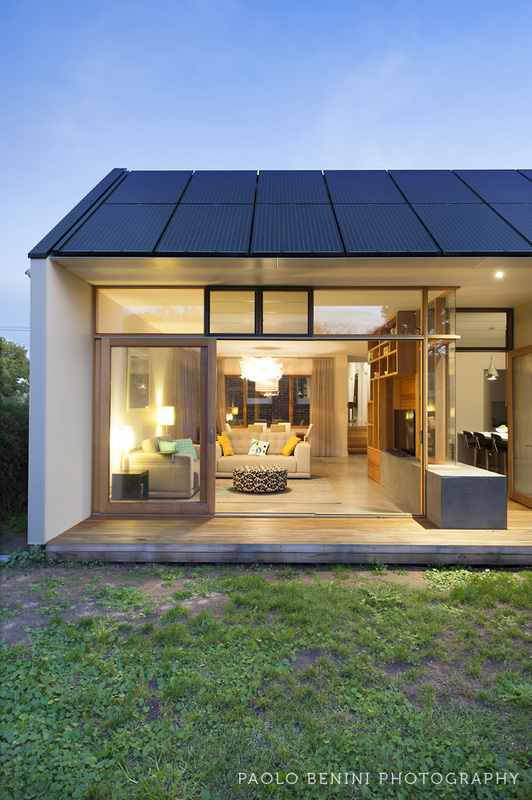 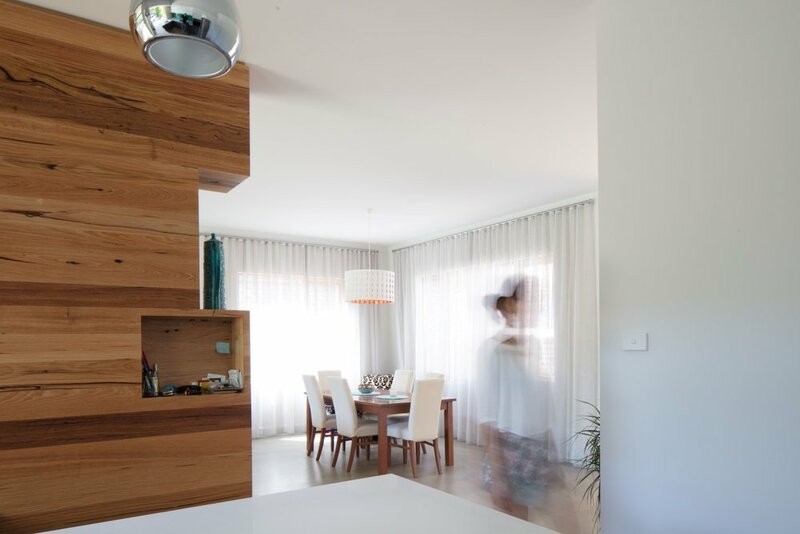 Our clients were looking to build an 'all electric' house that can be fully powered by renewable energy. 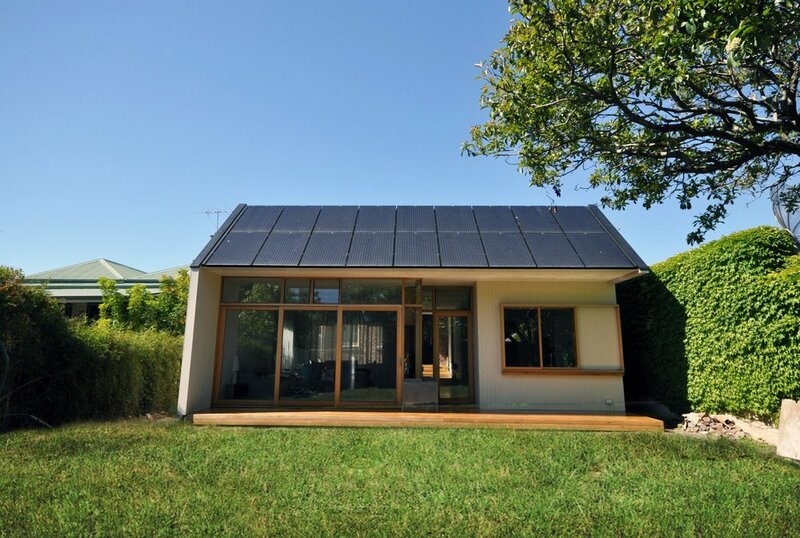 Much of this energy will come from an on-site array of PV solar panels that we have designed to form an integrated roof plane in the rear extension form of the design. 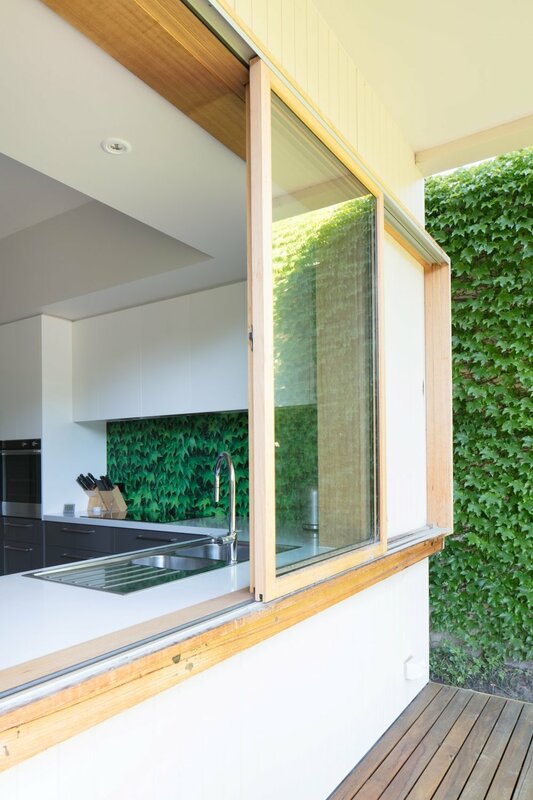 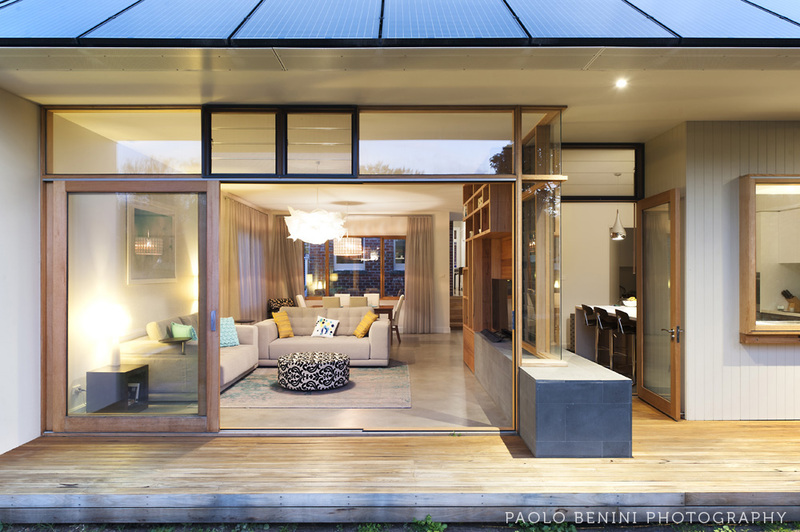 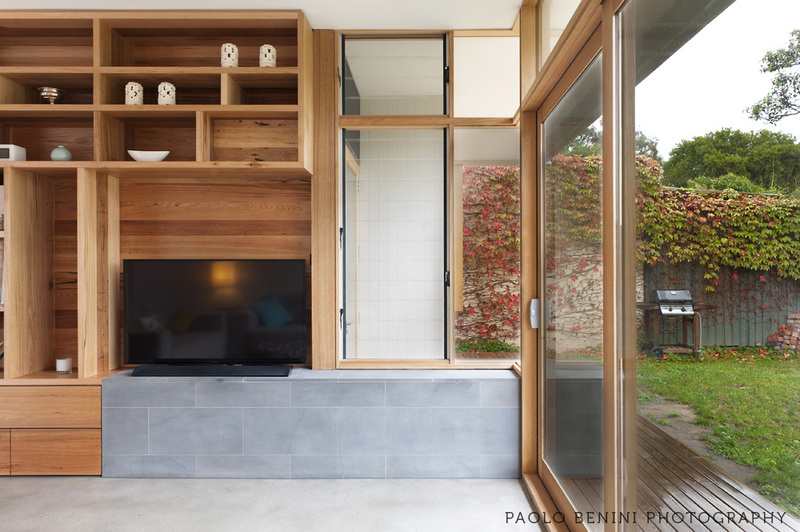 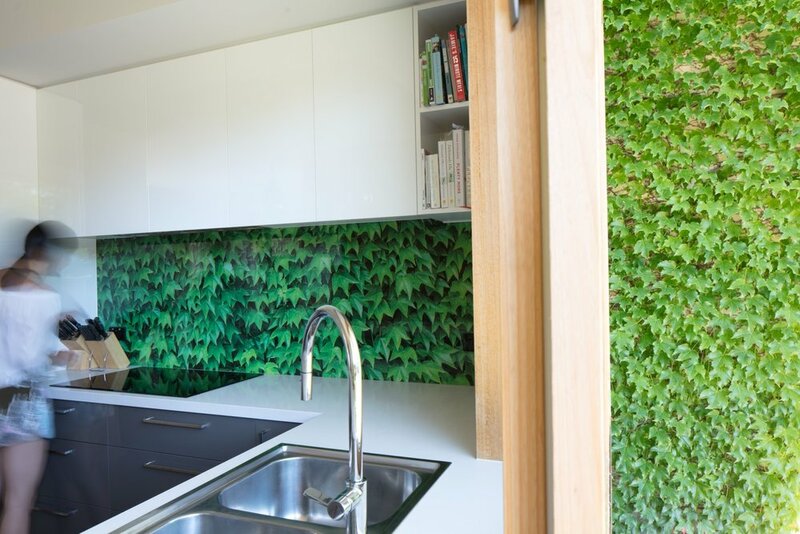 The design makes the most of a wonderful north facing orientation to the rear of the property, maximising solar passive performance and the connection of new living/ding/kitchen areas in the extension with the garden. 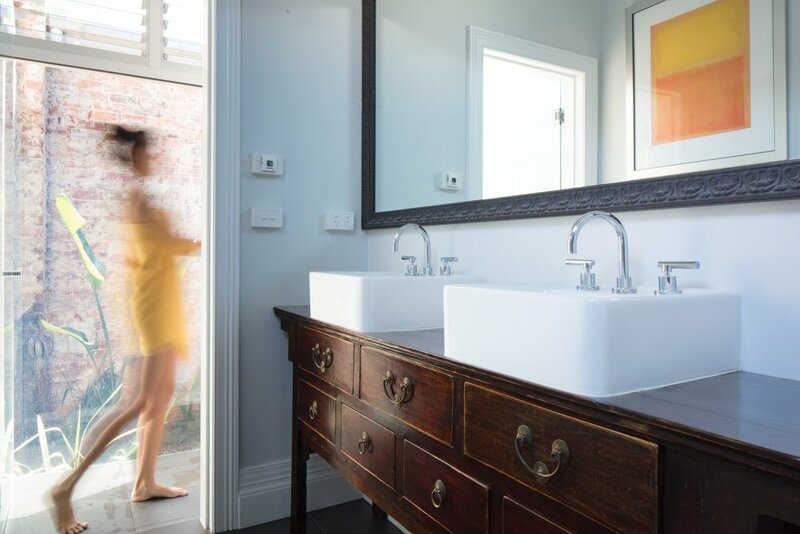 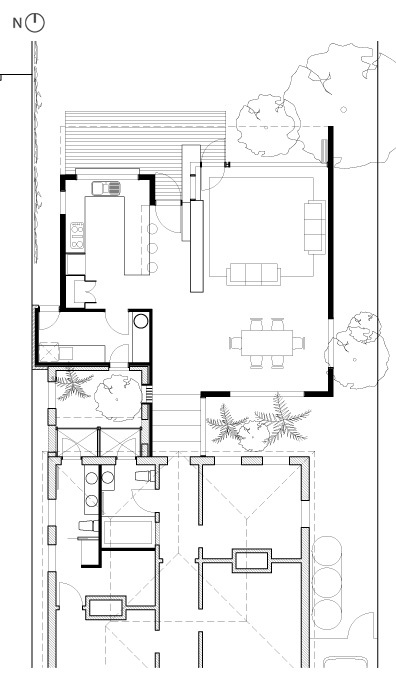 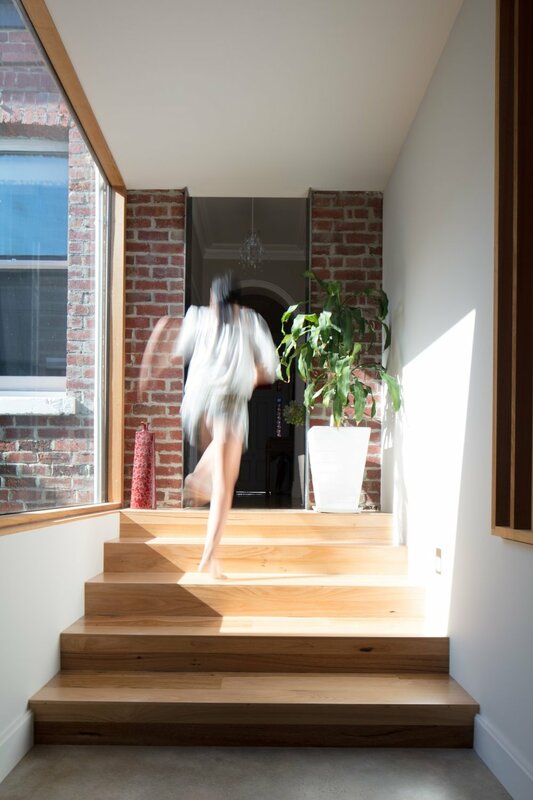 The design includes showers in both the bathroom and ensuite breaking out of the original house, with glazed walls facing into a private courtyard created by retaining a section of the 120 year old brickwork of the original house.